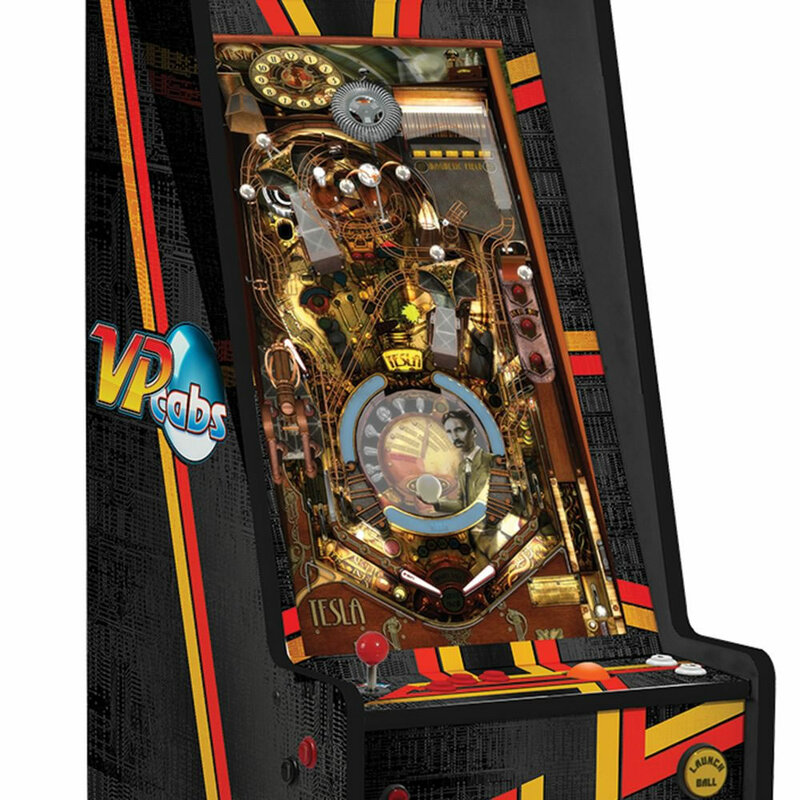 This is the arcade cabinet that features over 60 different variations of virtual pinball. The machine provides a library of pre-installed virtual pinball games, each with its own immersive 3D environments that include animated characters, flippers, bumpers, and ramps. A lightsaber launches the ball in Star Wars: A New Hope, flippers and a digital pinball fight a queen Xenomorph in Aliens, and a patriotic superhero seeks out the cosmic cube and spars with the Red Skull in Marvel’s Captain America. Its 32" LED playfield faithfully reproduces the hallmarks of a classic pinball cabinet with the atavistic details of their mechanical predecessors using razor-sharp 1080p high-definition. 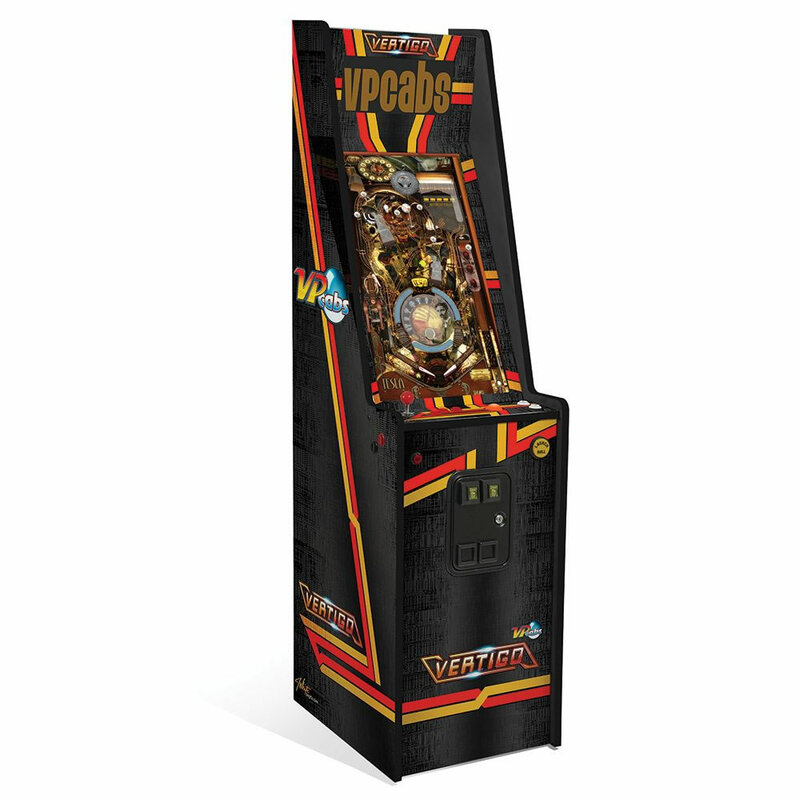 The machine also downloads over 60 classic arcade games, corresponding with its outward physical characteristics of a retro arcade game, including an OEM-style coin door (but without the need to be constantly fed with quarters). Its two coaxial speakers reproduce authentic sounds, including the clack of solenoids, the thunks of flippers, bells for scoring, and the occasional vocalizations by a game’s characters. White glove delivery. 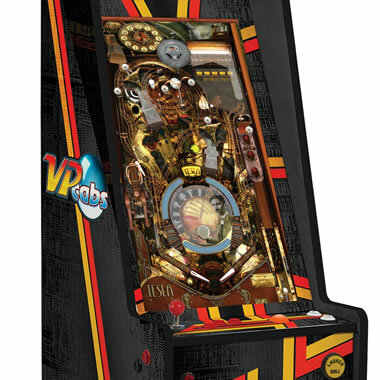 25" D x 20" W x 76" H.
The Virtual 60-Game Pinball Arcade comes with The Hammacher Schlemmer Lifetime Guarantee. Items that we sell are guaranteed for their normal life under standard non-commercial use.